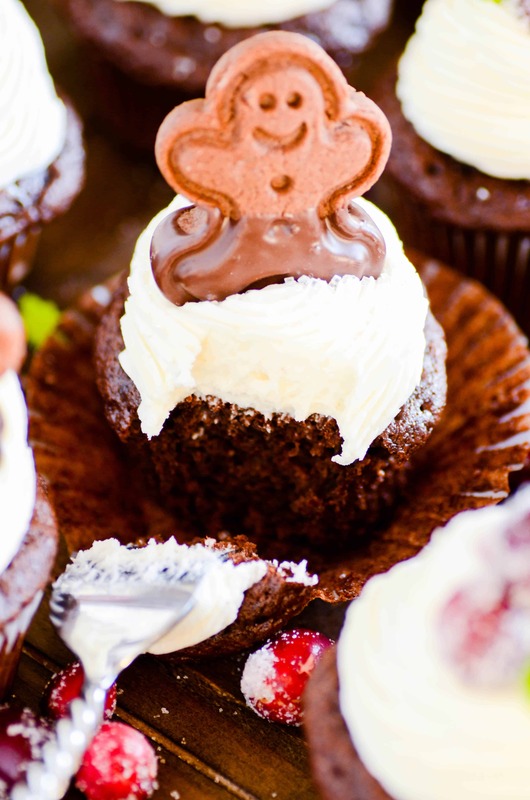 Chocolate gingerbread cupcakes with an easy-to-pipe cream cheese frosting. 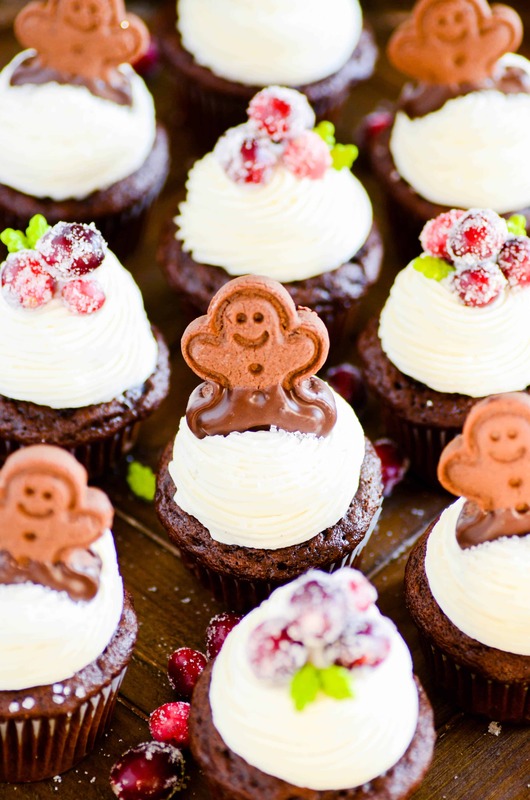 These spiced cupcakes are super fudgy and and perfect for the holidays. Plus they start with a mix! I have been LITERALLY bursting at the seams to share this recipe with you guys!! I am super into gingerbread this year. Who knows why, but I’m loving it and riding this train all the way to Christmas day! Maybe it’s because I’ve never really done much with gingerbread before, and now that my eyes are open to how delicious it can be I never want to stop. I particularly love chocolate and gingerbread. Have you ever eaten these chocolate dipped glazed gingerbread cookies? GAH! I buy them at World Market, and I’m obsessed. When I buy them, I know full well that package isn’t going to last me 24 hours (and I don’t share). And I’ve totally made peace with that fact. 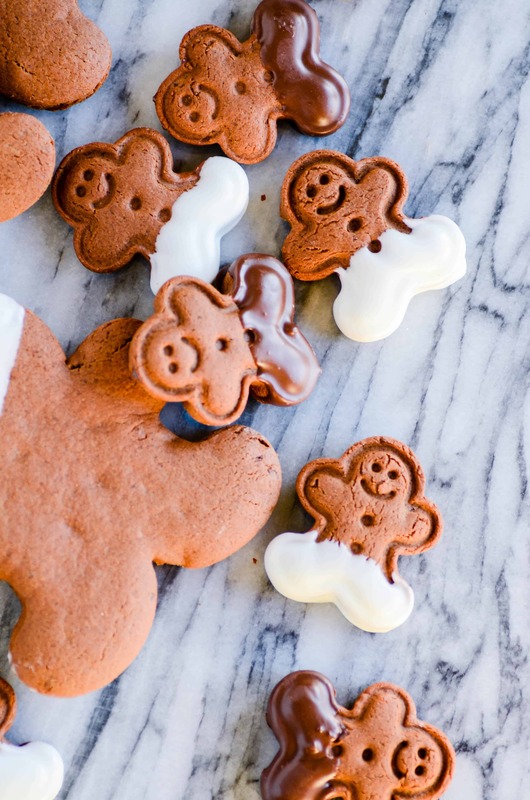 A copycat of those cookies is next on my gingerbread hit list for this year, and I can’t wait. But for now, let’s talk about these cupcakes. When I decided that I wanted to make gingerbread cupcakes, I remembered this Gingerbread Poke Cake (it’s ridiculously good) from last year that I made by doctoring up a spice cake mix. 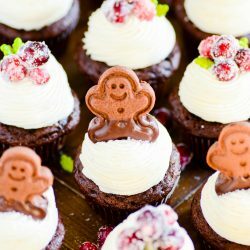 I knew that was the route I wanted to go, because I wanted these to be dominantly chocolate cupcakes complimented by the flavors of gingerbread. So I felt like starting with a chocolate cake mix was the right way to go. And boy, was it ever! 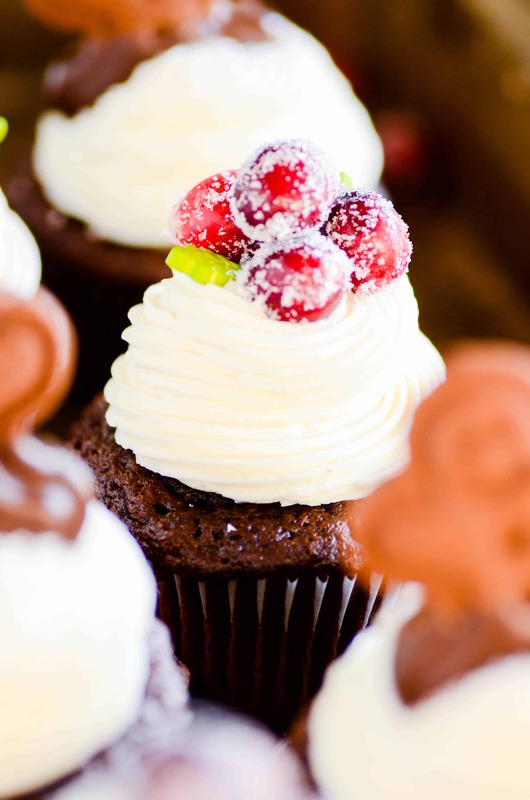 These cupcakes are soft and moist, compliments of the cake mix. 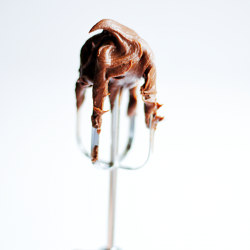 Adding buttermilk, molasses, ginger, cinnamon, and nutmeg creates a delicious depth of flavor and spice to the chocolate. And don’t worry, the gingerbread isn’t overpowered by the chocolate. It really is an absolutely perfect balance of flavors. It reminds me of those cookies from World Market I love so much! A) you can make my favorite cream cheese frosting. It’s sweet and tangy and so creamy delicious. But it doesn’t pipe very well, so you’ll want to spread it on with a spatula. 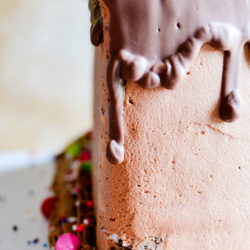 If you don’t care about piping the frosting on, I’d say this recipe is the way to go. B) use my recipe for pipe-able cream cheese frosting below. It calls for twice as much butter as cream cheese to keep things stable. So you loose some of that cream cheese tang, but it holds up to piping really well. And it’s really good too– just not as cream cheese-y as the other frosting. 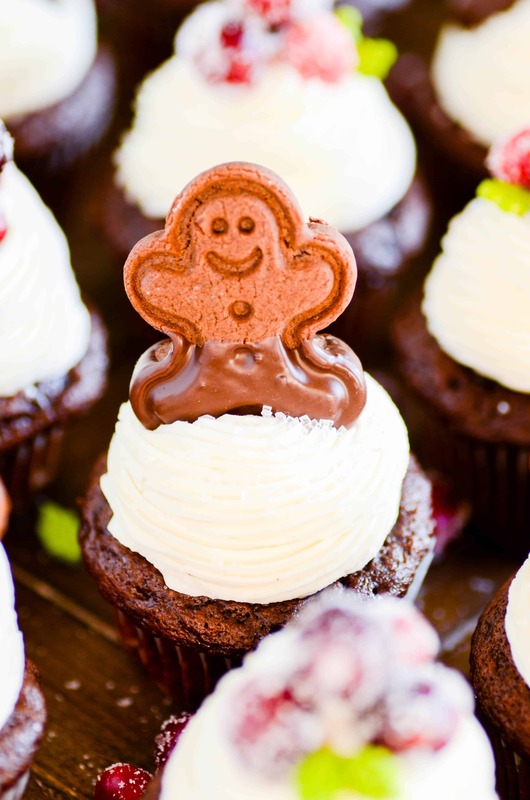 PS- if you want the recipe for these cute chocolate gingerbread I put on top of my cupcakes, you can find that here. 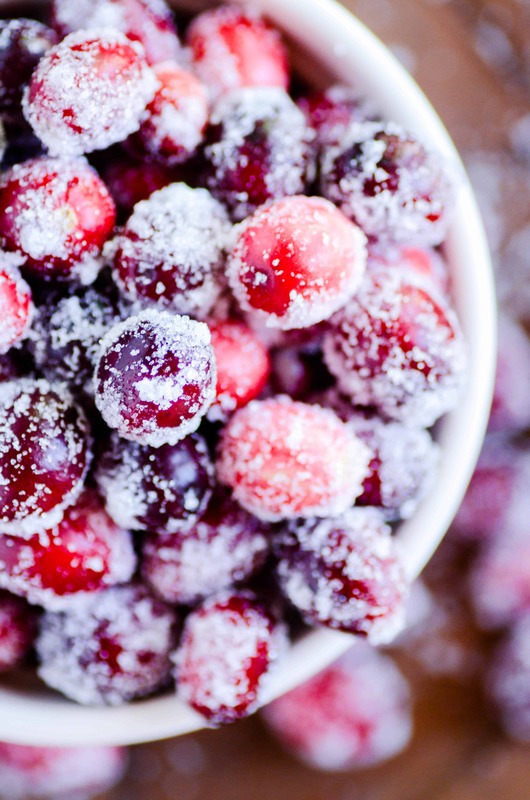 Or find out how I made these super easy sugared cranberries for a beautiful pop of color on top! Mix together the cake mix, buttermilk, molasses, oil, eggs, and spices until batter forms. Divide the batter evenly in lined cupcake tins. Bake for 20 minutes. Let cool completely. Using a stand mixer, whisk together the butter and cream cheese until combined. Mix in the powdered sugar 1 cup at a time, adding the vanilla and lemon juice as needed to thin the mixture. Scrape down the sides of the bowl in between additions. If needed, add milk one tablespoon at a time to achieve desired consistency.